Aventura crossed the Arctic Circle at dawn today. In the view of those who only consider a successful transit of the Northwest Passage by having crossed this symbolic gateway both on the way north and south, we have now done it. 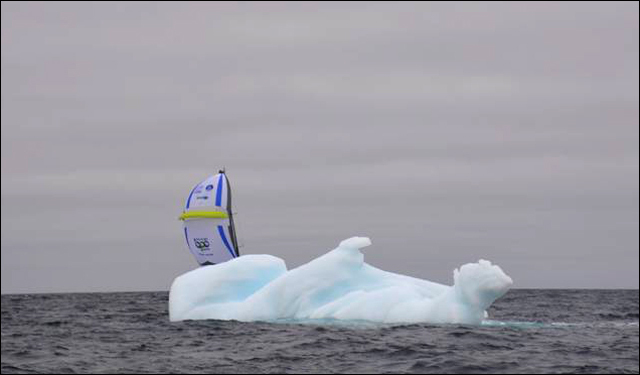 Since we passed the latter point on 19 July, we have sailed 3728 miles. While working out that total, I also noticed that a few days ago Aventura had also clocked 20,000 miles since she had left Cherbourg in late May last year. If our current voyage still counts as Aventura’s maiden voyage, this has been a very long honeymoon indeed. 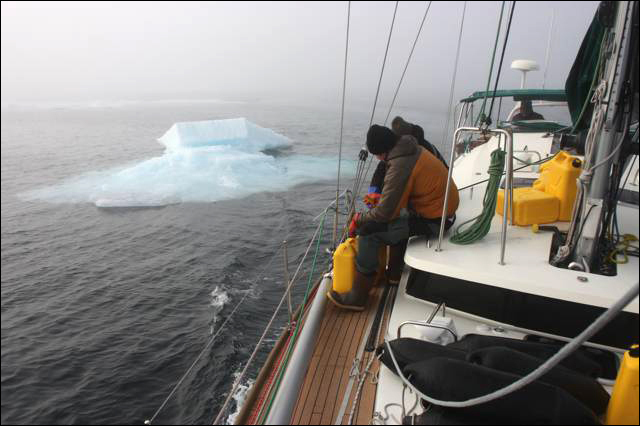 For the last three days we have had no wind, flat seas and still lots of ice. 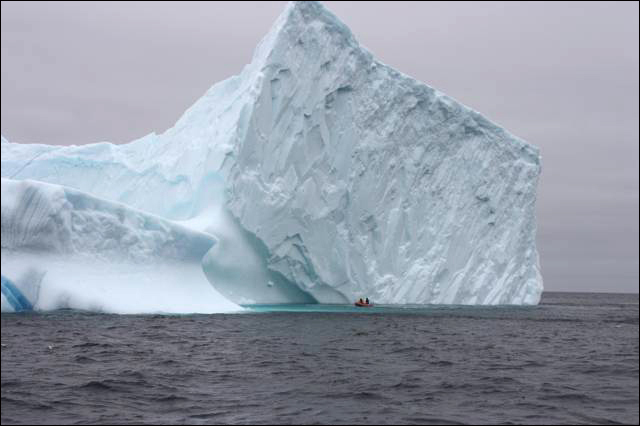 But compared to the Western Arctic, these were not floes of sea ice, but proper icebergs of all shapes and sizes, that had been calved by the glaciers of Baffin Island or Western Greenland. Suddenly the air temperature dropped to -2 and that of the sea to +1.5, and then came the fog. 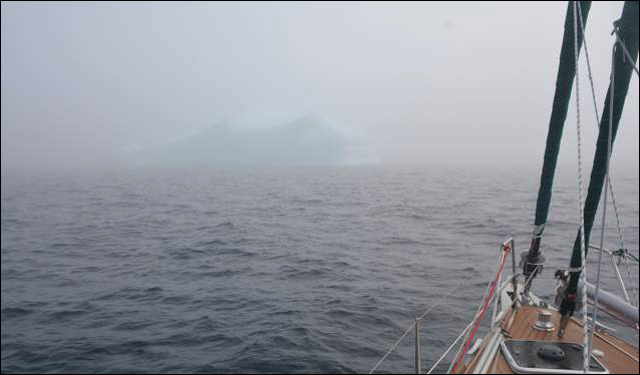 With visibility often reduced to just a boat’s length, these were anxious moments, especially at night when we were moving blindly through the opaque mist. The radar was of some help, but only for the larger so-called bergy bits. 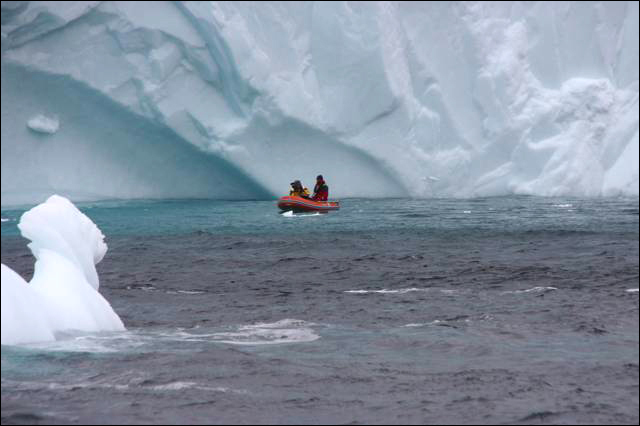 Colliding with an undetected smaller chunk could have caused serious damage even to a boat as strongly built as Aventura. Finally the sun came out yesterday, and with it also a favourable wind from the north. 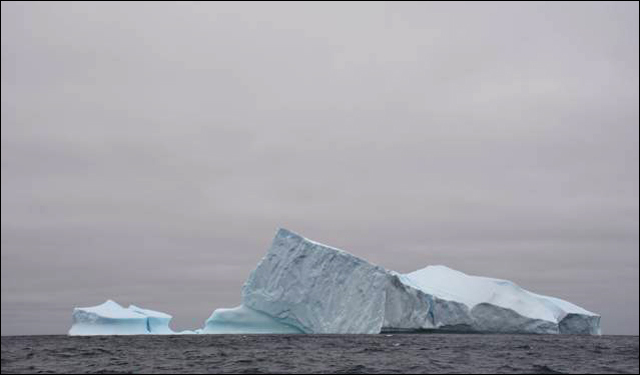 We could now enjoy the sight of the mighty icebergs while passing them at a safe distance. 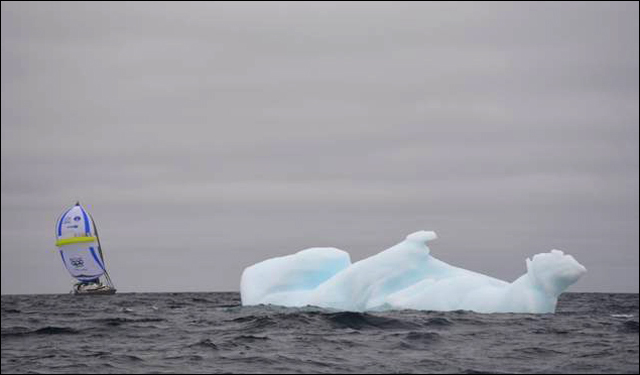 The attractive blue colour of an iceberg caught my attention and, knowing that soon we may be out of such a unique photo opportunity, I decided not to miss it. 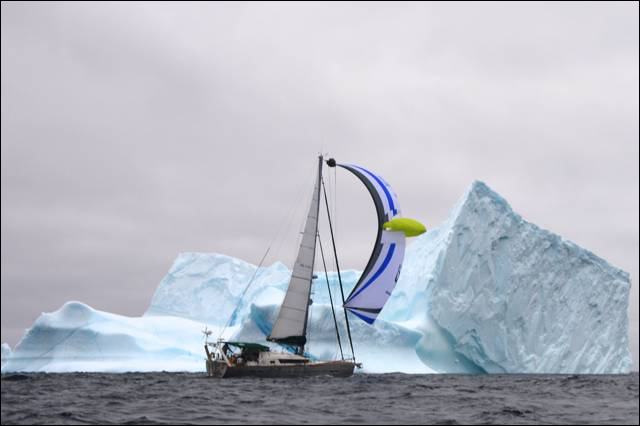 I had promised the manufacturer of the Parasailor spinnaker to send some photos of this colorful sail from the Arctic, and the moment to do it had arrived. 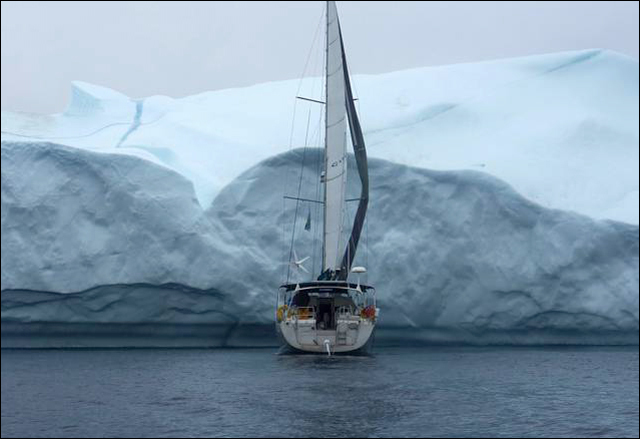 We hoisted the sail but kept it in its douser, and made for the lee of the iceberg. 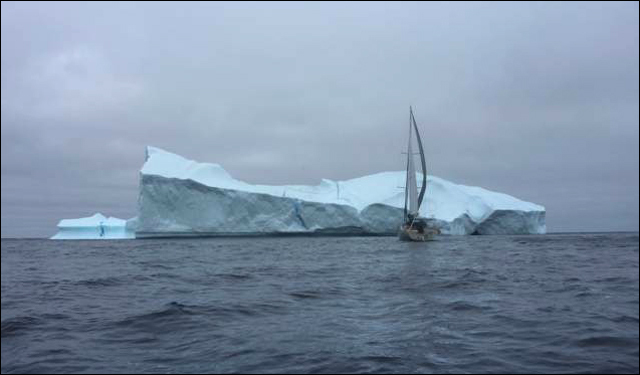 We came as close in its lee as we dared to be out of the swell and wind, and launched the dinghy. 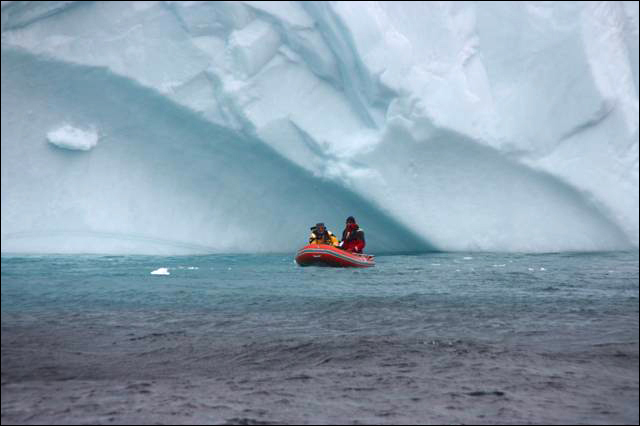 Dunbar and Chris agreed to sail Aventura past the iceberg, while Martin and I boarded the dinghy to lay in wait. Job done! 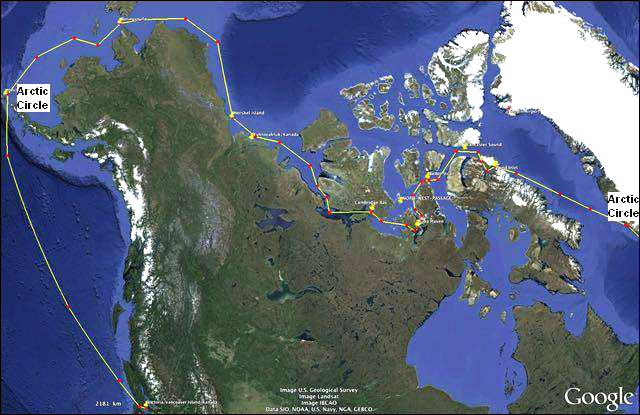 Transit of Northwest Passage completed, photos to prove it taken. Time to head for warmer climes! 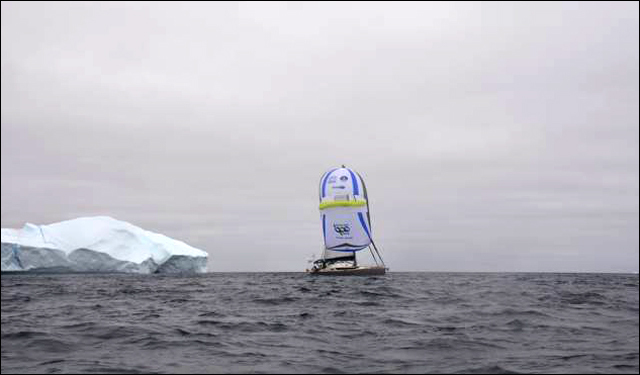 We are now 120 miles from Nuuk, where Chris and Martin will leave Aventura to fly home. Dunbar and I will sail first to the southern tip of Greenland to sail through the Prince Christian Sound, a 90 miles long fjord described as one of the most specular passages in the world. From there we shall sail south, bound for the Canaries, where Aventura will spend the coming winter.